California Western School of Law, San Diego, California | J.D. University of Arizona, Tucson, Arizona, U.S., 2000 | B.S. 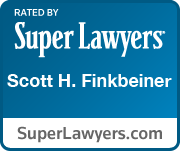 Scott H. Finkbeiner is a co-founder of Wilkinson & Finkbeiner, LLP and is an expert in Family Law as he is California State Bar Certified Family Law Specialist. Scott is also a Fellow in the American Academy of Matrimonial Lawyers. 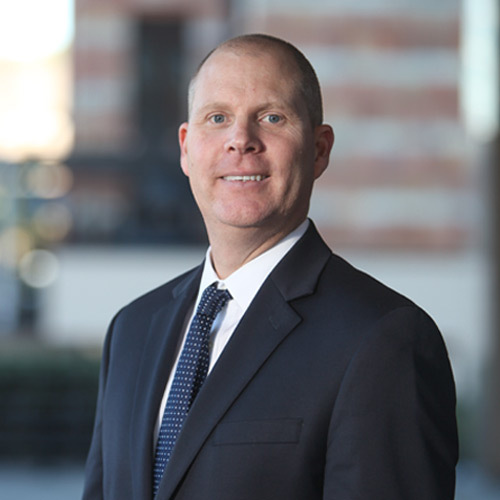 Scott has dual degrees in accounting and finance from the University of Arizona. Scott serves as a volunteer for the Superior Court as a judge pro tem, Family Law settlement judge and mediator. Scott specializes in all aspects of complex family law cases from mediations to trials. Scott has litigated all issues involved in divorce and paternity cases including child custody and support. Scott focuses his practice on cases involving the characterization and division of high asset and complex marital estates involving multi-million dollar corporations (both domestic and foreign). He also works on division of smaller financial estates. Scott’s background in accounting and finance uniquely qualifies him to quickly identify the issues and resolve complex issues involving asset characterization, direct and indirect tracings, division of property, including stocks, options, restricted stock units, retirement benefits and reimbursements. Scott is an expert in all aspects of child support and spousal support whether in family court or department of child support services. Scott has represented numerous self-employed individuals as well as a party whose spouse operates as a self-employed individual. Scott has lectured on the law and analysis for determining support related to stock options, restricted stock units, and other executive compensation. Scott has litigated countless cases involving military service members and represents spouses of a military service members. Scott also specializes in all aspects of child custody and visitation matters. Scott has litigated many cases involving psychological evaluations, minor’s counsel, move-aways (domestic and international), alleged child abuse, interstate child abduction, post-judgment change of custody cases, drug and alcohol abuse and every other issue concerning minor children. Scott has represented non-parties and grandparents in both child custody matters as well as guardianship matters in the probate courts. Scott is an expert in cases involving domestic violence. In addition to previously lecturing on the law as it pertains to domestic violence, Scott has successfully sought and defended clients on many domestic violence cases throughout his career. Scott is familiar with the interplay between a pending criminal domestic violence case and the family court’s civil restraining order process. Scott is a frequent lecturer on all aspects of family law, ethics and professional responsibility. Scott has presented on issues of the Fundamentals of Family Law, Stock Options & Executive Compensations for Purposes of Determining Child and Spousal Support, Domestic Violence Restraining Orders, Psychotherapist-Patient Privilege and Its Application to Family Law Custody Cases, and Family Law Ethics and Professional Responsibility Rules.